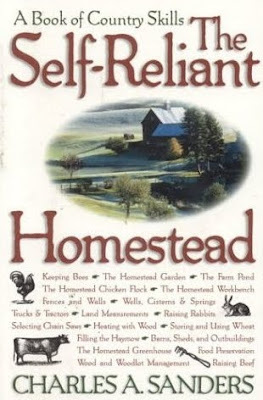 Oooh, just found the coolest blog called The Self-Reliant Homestead by a fellow named Charles Sanders. Mr. Sanders also wrote a book by the same title which I hope to review shortly. Go take a peek. He's got stuff on gardening, wine making, farmer's markets, cooking, all kinds of neat stuff. Nice! Thank you for linking us to so many resources and fellow preppers willing to share their ideas! You and others that blog about survival offer a great and selfless service to humanity! This thought led me somewhat off-topic... and I'd like to pick your brain a bit. I know you and Don have accepted that to be of utmost service you cannot be 100% private regarding your location, etc. But what do you suggest that we silent preppers do to dicourage our well intentioned prepper friends from sharing the details of our prepared lifestyle/secluded homestead locale/etc.? Any suggestions? Gentle hasn't worked so far. I feel the person's heart is in the right place but they are the prep type living in perpetual fear of TEOTWAWKI, so desparate of building community without regard to the liability of putting everything out there. ***And yes, I realize it's my OWN doing for sharing and planning with someone I obviously hadn't completely vetted. :( *** ????? You will not be disappointed if you buy his book, trust me! I consider it one of my "Top Ten" homesteading books. 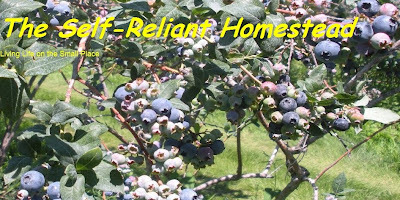 I have often read Mr. Sanders articles in Backwoods Home Magazine also and always find them useful as we continue to become more self sufficient. Thanks for sharing.